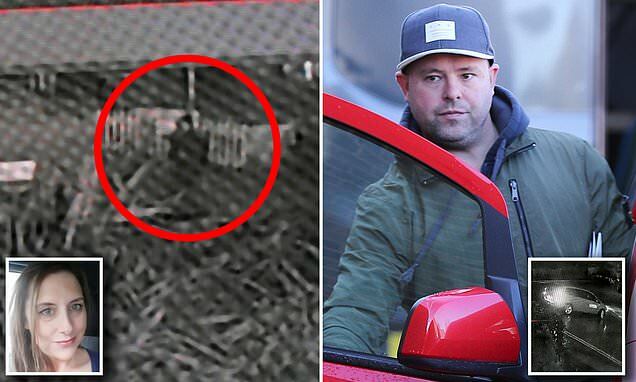 These grainy CCTV images of a hooded man and a car parked near a river may provide vital clues in the ‘potential murder’ of missing mother Sarah Wellgreen. They prompted police to deploy specialist divers on Thursday to scour mudflats in the Thames, yards from the scene of the footage. The black-and-white images, which came to light last week after a police appeal, were filmed five days after the beautician was last seen almost a month ago. They show a Vauxhall Zafira parked on a side street in the village of Greenhithe near the M25 Dartford Crossing. At first, the driver remains in his vehicle but soon gets out and walks towards a play area by a wall running along the riverbank. Appearing nervous, he returns to his car after less than a minute. A minute later, he gets out again and walks towards the river. He moves out of camera range for two minutes. On re-emerging, he goes back to the car and drives off. Last Thursday, divers from Kent Police’s search and marine unit spent hours painstakingly walking through the heavy mud. A high-tech drone was also deployed.